A fully automated tool for data migration between a pair of best-of-breed, open source, legacy, or homegrown tools. The intuitive UI and built-in features of Kovair QuickSync simplifies the process of tool mapping, project configurations, business flow setup, and real-time data monitoring. Currently, Kovair offers data migration solutions between HP ALM & Microsoft TFS, HP ALM & JIRA, HP ALM & IBM DNG for all their different versions. Pick any name from the tool migration list and ask for demonstration. Kovair continuously adds new tool combinations for migration between a variety of tools. Minimum cost – No extra infrastructure. Just download, install and you are ready. No Database, no Web server required. Multi-faceted integrations – One-stop solution for syncing, merging as well as migration of data between a pair of tools. Intuitive and intelligent migration console – for simplifying tool mapping, project configurations, business flow setup. Also, supports relations and attachments. 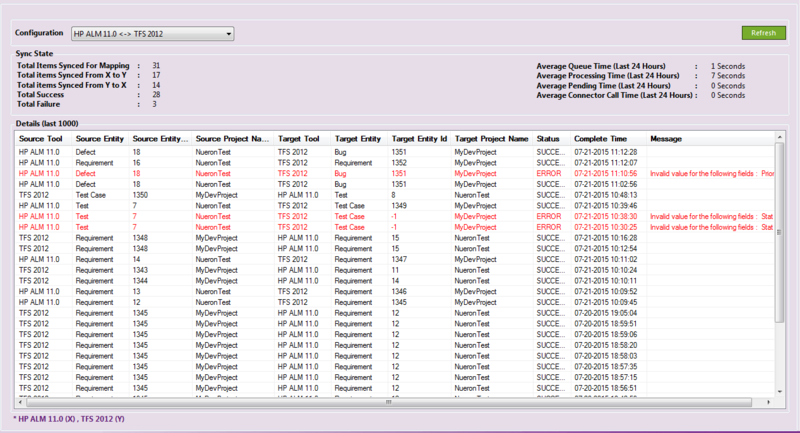 On Screen health monitoring – Quick analysis of data synced between two tools and their sync or migration status. 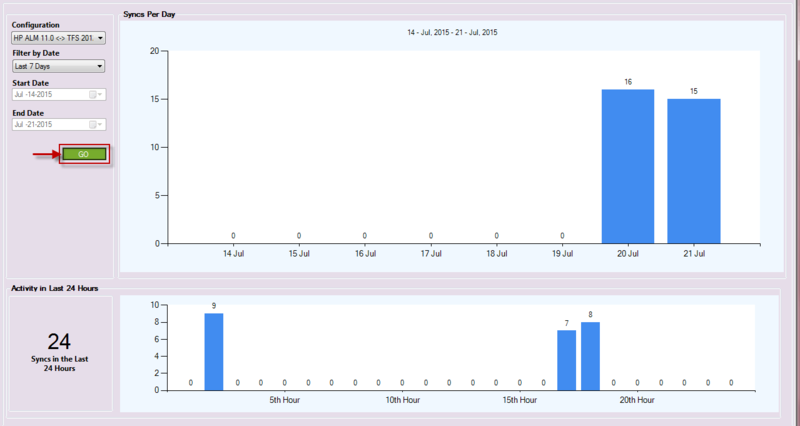 Customized metrics – Chart based graphical reports on post-migration data, showing success and failure counts for a given time interval. Transaction based licensing – designed to support ‘Pay-as-you-go’ model. 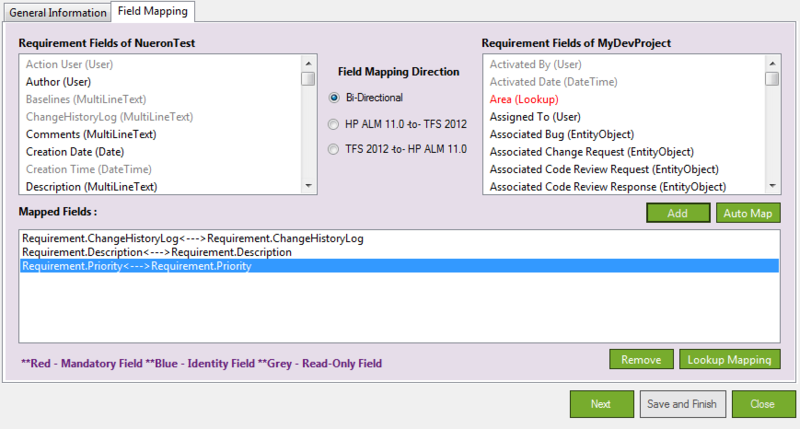 Simple and user-friendly interface for configuring artifact, fields, and user mapping. Users can also define their own supported business flow. Quick monitoring of detailed data synced between a pair of tools along with their sync status. Availability of detailed data history for any individual record along with its running status. Chart based graphical reporting of data flow between tools for broad level visualization of data being synced over a given time interval. Compare post migration data between pair of tools and override attribute values in in either direction.